When a tragedy occurs, people often wonder how God could allow such a thing to happen. Whether it’s an earthquake, a car accident, or an unexpected death, these events can shake a person’s faith and belief. When our son died in 2015, it certainly shook my husband’s. He always believed that God had a plan, but he couldn’t see it through the turmoil our son’s death caused. However, Josiah’s death did not shake mine. If anything, the aftermath of each of our sons’ deaths only strengthened my own beliefs. I do not believe God makes or allows bad things to happen. Nor good ones. I do not believe God gives one person success, and another misfortune. I do not believe God helps one team win the Superbowl over another, or brings anyone luck. I believe that God is faith, inner strength, community and, most of all, love. So when a tragedy strikes, such as the deaths of my sons, I don’t feel the absence of God. I feel his presence all around me. When my son, Josiah, died in May 2015, I felt God through the woman who thought to bring us prints from our son’s hands and feet. One of the few tangible things we have from his short time on earth. I felt God through the flowers and cards and calls and texts and messages and posts, from those who loved us, around the world, letting us know that they were mourning with us, for us, and holding us in their hearts and hands. Holding us up, when we couldn’t do it ourselves. That so many people would take the time to reach out to us was incredibly moving to me, and made me feel surrounded by love. It helped lift me up, and brought me a small sense of joy, even as the waves of grief crashed against me. I felt God through the meals that were brought to us, following the deaths of each of our sons. Whether home cooked, or sent by delivery, these meals were morsels of love and care, and a moments to let others look after our well-being while we struggled to find our footing with even everyday tasks. I felt God through the women who reached out to me, sharing their own pain of loss with me, of babies in heaven, thus connecting us forever through this shared bond. I felt God through my chance meeting with Amie Lands, Certified Grief Recovery Specialist®, and leader of the Grief Recovery Group that allowed me to actively work through my sadness and pain with an amazing group of women. I learned that Amie and her husband had suffered the loss of their daughter and created the Ruthie Lou Foundation. The foundation provides comfort boxes for parents who must leave the hospital without their child. When we received one of those boxes in April 2017, knowing who they came from was like being held by my courageous friend and knowing that I could get through this too. That… that was when I felt the presence of God. I felt God through the caring staff at Kaiser, who held my hand and shepherded me through a dark and compounded nightmare. I felt God through the friends and family who came to the hospital or sent me messages to encourage me as we hoped against hope throughout the night. I felt God through the fact that I was able to give birth to my second son, Lincoln, and hold him during his brief life with us. Something I was never given with Josiah, it was an incredible and profound gift during an agonizing moment. I felt God through my daughter and her simplistic view, guiding me as I attempted to guide her through the meaning of death and loss and everlasting love. I felt God through my husband, who has worked to not turn away from me or our loss, but rather hold my hand and lay beside me to mourn as only a parent can. 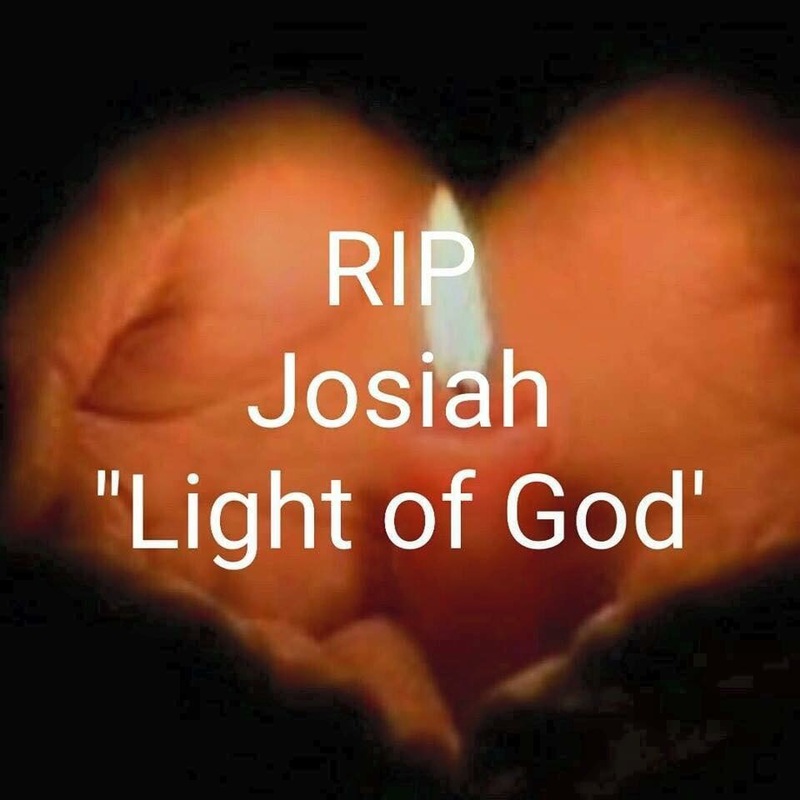 I felt God through the dozens of family and friends who, on the day that should have been my son’s birth, lit candles for Josiah and said his name and sent us pictures, so that we were surrounded with light and love and the knowledge that he, like ourselves, would not be forgotten. There has not been a time that I have felt that God abandoned me. I have not felt that He allowed my sons to die, or caused my premature labors, to punish me. I believe that God gives me what I need to survive a tragedy, and is not the cause of the tragedy itself. So what I have felt is God giving me strength, through the loving people who surrounded and carried us for Him. And for that, every day, I thank God. Author’s Note: I understand, and respect, that every individual has their own beliefs or non-beliefs when it comes to religion and spirituality. The words I write are in no way an attempt to influence or sway anyone. They are, as I say, simply my own thoughts. Thank you for reading.